An Egg a Day brings on the diabetes? Eating an egg a day can raise the risk of developing diabetes, this is what American scientists are telling us. They come to this conclusion after they have tracked 57,000 adults of both sexes for more than 20 years. For the sake of our own well-being and that of our children’s, it is advisable that we pay attention to this article. Doctors are now warning people to eat less eggs. We have to watch our diet more carefully as diabetes can be really bothersome, if contained but deadly, if left unchecked. Eating just one egg every day can substantially raise the risk of developing diabetes, according to researchers. For those who already have type 2 diabetes – also known as adult onset diabetes – eating more than a couple of eggs a week can make the condition worse. American scientists reached the conclusions after tracking almost 57,000 men and women over a period of up to 20 years. They found that eating an egg every day increased the overall risk of type 2 diabetes by about 60 per cent. For women the risk increased by 77 per cent. 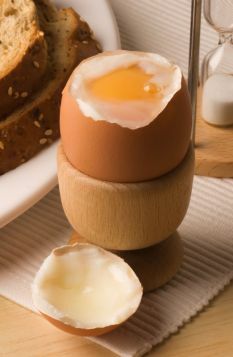 Eating just one egg a week carried no increased risk, said the report in the online journal Diabetes Care. Doctors are now urging patients with type 2 diabetes or those at risk of the condition to limit their egg consumption to three a week. If people want to include eggs in their diet, they suggest that eggs high in omega 3 fats are a better choice. The researchers, from Harvard Medical School and Brigham and Women’s Hospital in Boston, recommend further studies into the health risks of eating more than one egg every day. Eggs, although a good source of vitamins, proteins and other nutrients, contain high levels of cholesterol and saturated fats, which are known to increase the risk of type 2 diabetes. There are two main types of diabetes. Type 1 develops if the body is unable to produce any insulin. It usually appears before the age of 40. In most cases this is linked with being overweight and usually appears in over-40s. There are currently more than 2.5 million people with diabetes in the UK plus an estimated 500,000 who have the condition but are not aware of it. That means there are three million people with diabetes in the UK. Wonder how many Malaysians are diagnosed patients and how many more are unaware they have the illness. This article can be found in “Mail Online”, it is written by Noel Young. You should read Nourishing Traditions by Sally Fallon. Excellent information about fat, cholesterol, and much more. I make my kids eat at least 6 eggs a week. If you go to the Mail online, and view all the comments, you’ll see a comment from “Matt, Nottingham”, who gives some information about the research. It was proven quite some time ago that the cholesterol contained in eggs doesn’t raise the cholesterol of the person who eats it. Matt explains that the people who ate more than 7 eggs per week and developed diabetes were also overweight, smoked, and drank alcohol. The ‘research’ was also based on questionnaires – not the best method. This is a prime example of scaremongering poor ‘research’. I eat an egg every day, I have never been overweight, I have normal cholesterol levels, and I don’t have diabetes – and I’m old enough to have been affected by now. P.S. I’ve put a new (short) page on my blog which will tell you where to find the original research paper, an editorial, and a link to another press release from Harvard.